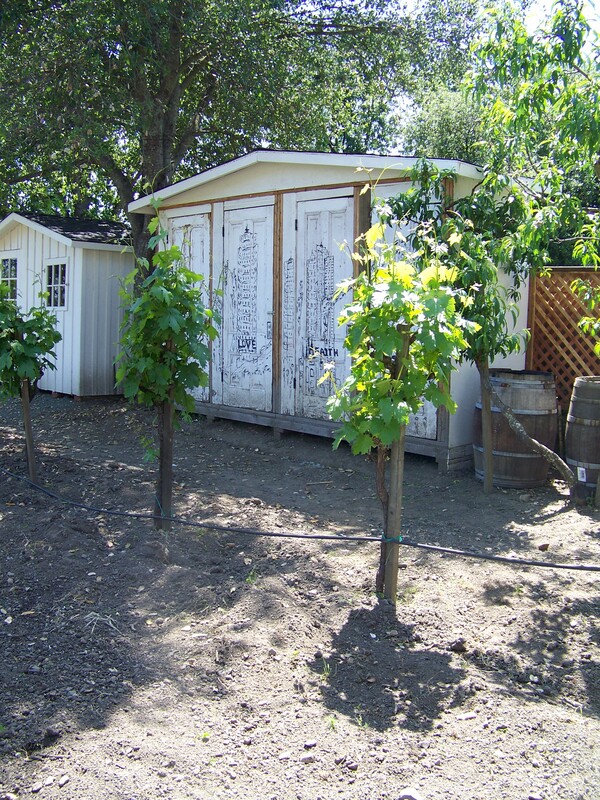 A couple of weeks ago, I told you about one of our favorite wineries, Charter Oak in St. Helena. At the time, I also mentioned that it was an art studio. Layla Fanucci, whose husband Robert is the wine maker, is an internationally known artist. Her primary format is oils of large cityscapes. What makes her art truly unique is that each painting isn’t a single city — it is several cities layered on top of each other. Many of her canvases are very large. 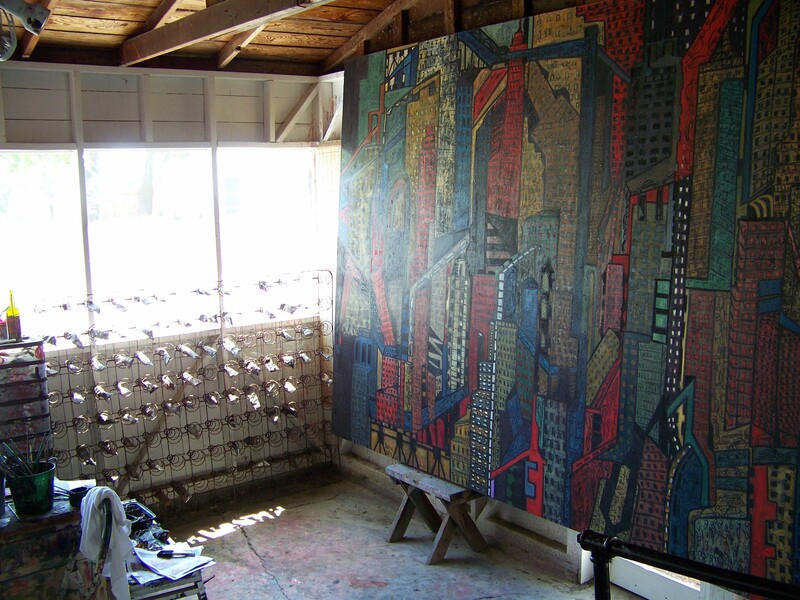 This is Layla’s studio and one of the enormous canvases that she is working on. 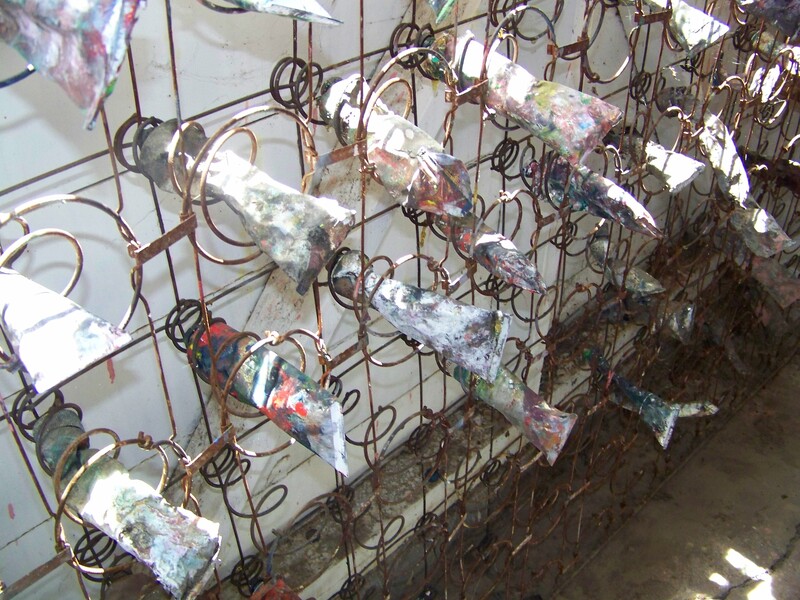 The old bed springs against the wall holds tubes of paint. 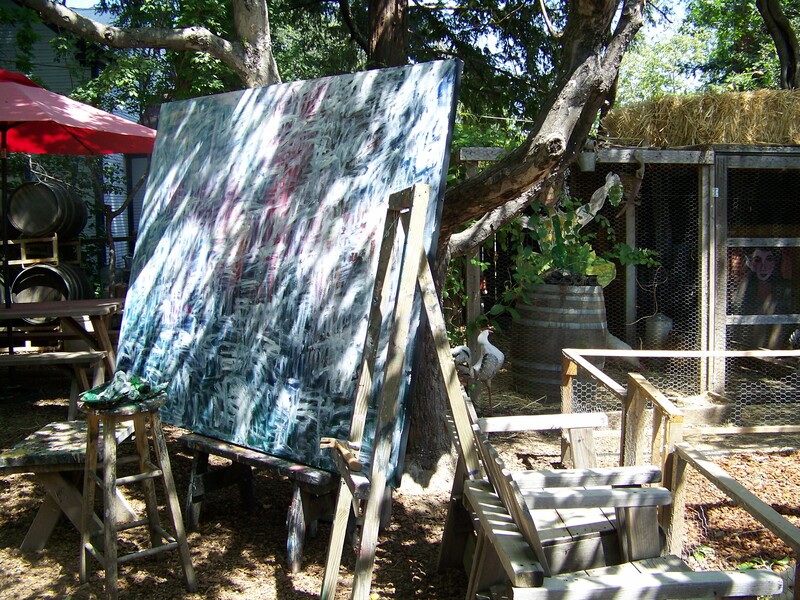 There is another painting in progress under the big tree in the yard. Everywhere you look there is more evidence of Layla’s handiwork. 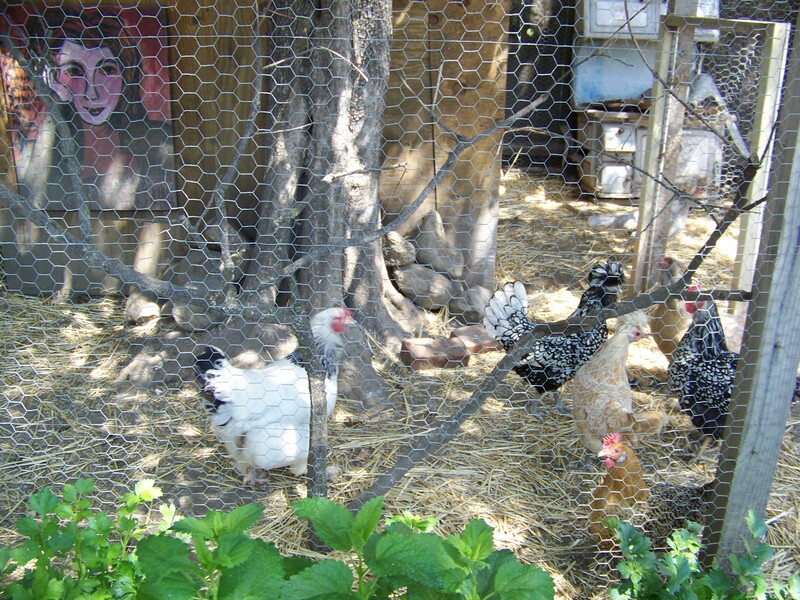 Look — there’s a painting in the chicken coop! 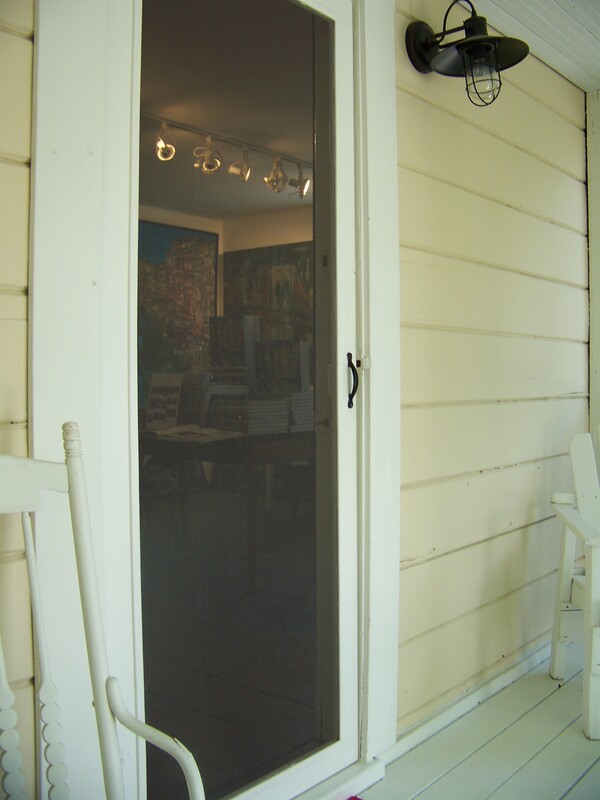 Even the doors on a storage shed can make a good canvas. 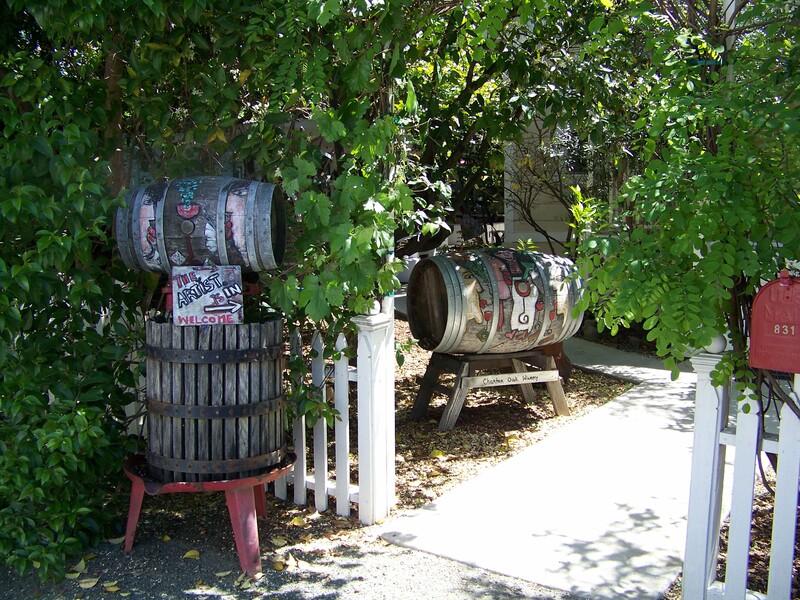 Charter oak Winery is located at the end of Charter Oak Avenue in St. Helena. Wine tasting is by appointment only. The gallery is open when the winery is open. All the needed information is on their website here. All photographs are my own, unless otherwise noted. Please be kind — ask permission before using them. The second part of the Charter Oak story.